The other day my daughter and I were driving on a back country road. Honestly, some would not have even called it a road, maybe a glorified path. As we went around a sharp curve, we came upon a fork in the road. The only choice was right or left. I couldn't help but think how terrible it would be to come upon on this spot at night. It caught me off guard, even in the daylight hours. I wonder how many times in life we arrive spiritually at that same location. 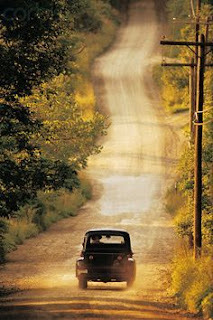 We are traveling along fine, when out of no where there comes that unexpected curve, or better yet, a fork in the road. Now what, do I go left or right? There are no signs that give direction, and I have to make a choice. Even to sit still is a choice. Joshua said to the children of Israel, "Choose you this day whom you will serve." Recently I found myself in that same position. 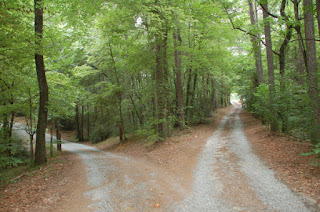 Everything in me said take this path, but the Holy Spirit said, "John, don't go that way. Here is the path that I have for you. I had a choice to make. Do I go with my natural instinct or do I follow what I feel the Lord leading me to do. Maybe you say, that's easy John, you better obey the Lord. 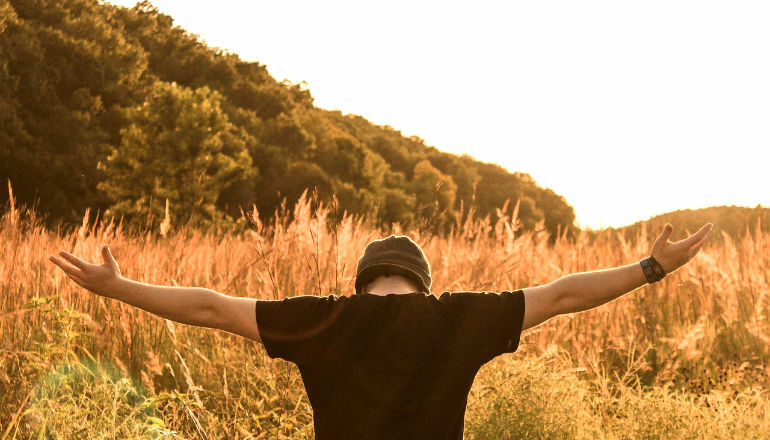 I agree that God's way is right, and I know that faith and obedience is the choice that I must make, but nothing about it is easy when your carnal man is fighting to have his way. There are times where God allows us to reach a place in life, a fork in the road, where we only have two choices, one is clearly wrong and the other is clearly right, but what about when they are both morally right but only one is His will. That was where I found myself. I had to choose to trust Him. His way seemed harder and the other was easier, both under most circumstances would have been OK, but God said, "John only one of these have I chose for you." I must admit, I toiled over the decision for sometime before I said, "Lord I cant do it. Please give me the strength to obey." Then Jeremiah 29:11 came to life. The faith to follow Jesus is found in surrender. That moment in life when you say, I cant Lord. Please help me. It is then that He says, I was waiting for you to ask. Call on Him and trust Him. He will never fail you. The bible is full of promises to ensure our success in serving Jesus. I believe it is in these seasons of Life where we get to see the manifest power of the Holy Spirit. Jesus cares about you and wants to transform you into all that He has destined you to become. Will you give Him everything today? Your Life, past, present and future, if so, you will never face another fork in the road without the Holy Spirit to guide you into God's plan for your life.